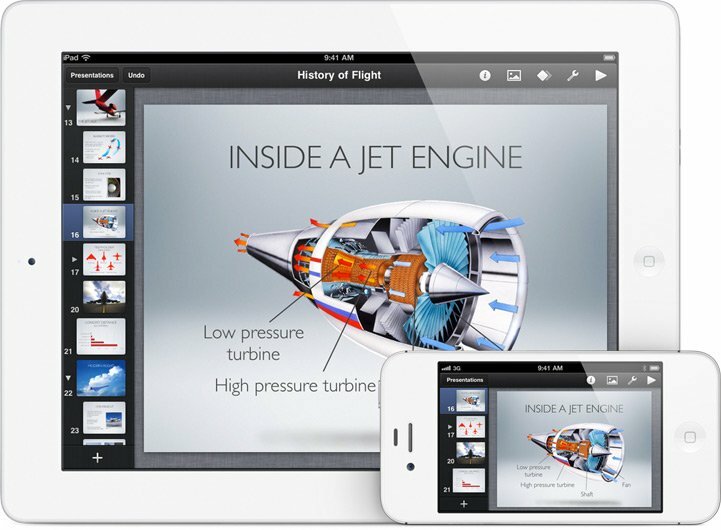 Why would Microsoft make Office for iPad, and why would Apple want it? There's been a bit of a brouhaha this week over the possibility of Microsoft Office coming to the iPad. It's been teased, denied, rumored for a keynote spot at the anticipated iPad 3 event, summarily dismissed and otherwise masterfully debated everywhere from blogs to social streams and back. But does it even matter? Is it merely the significance and symbolism of the idea itself -- having Office on iPad -- that's important, or is anyone actually expecting killer software when years of Office on Mac still haven't provided a truly excellent, fully compatible experience? Why would Microsoft make Office for iPad? While education has always been a stronghold of Apple's, and according to their Q1 2012 conference call, almost the entire Fortune 500 is testing or deploying iPads, for everyone from students to enterprise, having a real, compatible Microsoft Office suite on Windows 8 Tablets could very well sway consumer dollars in Microsoft's direction. Why then would Microsoft want to release Office for iPad -- Word, Excel, and PowerPoint -- when making Office an exclusive for their upcoming Windows 8 tablets would boost Microsoft's own platform and give it a fighting chance against the Apple incumbent? Because Microsoft is a software licensing company. It's what they do. Sure, they talk a good platform game, and they've succeeded in building platforms, but at their core they're the guys who licensed DOS and BASIC to the world. Take Exchange ActiveSync as precedent. Exchange was Microsoft's attempt to displace BlackBerry from the enterprise. It was the crown jewel of Windows Mobile, the predecessor of Windows Phone. And Microsoft gave it to Apple, Google, and others. They hurt -- badly hurt -- Windows Mobile to help -- really help -- Exchange ActiveSync. They chose software licensing over platform success. They chose beating BlackBerry over helping Apple and Google. There are hundreds of millions of iOS devices on the market. The revenue that could be realized by selling Microsoft Office licenses at $30 a pop (assuming a price similar to what Apple charges for the full iWork suite) to those hundreds of millions of iPhone, iPod touch, and iPad users is compelling. Even if Microsoft begins solely with an iPad version of Office -- as Apple did with iWork -- tens of millions of licenses is nothing to sneeze at, not even for Microsoft. It might even make up for a lot of ~$15 Windows 8 Tablet licenses Office on iPad costs them. Software licensing over platform success. And hey, if Office on iPad helps Microsoft compete against Google Docs, all the better. Office on iPad could also be similar to Office on Mac -- a second class experience that leads users, and enterprise, dependent on Microsoft's software to switch over to Microsoft platform to get done what they desperately need to get done. Of course, Microsoft doesn't make Halo for the PlayStation 3, so it's possible Office for tablets will be considered in the same way, but if iPads are really the mainstream consumer computing appliance of the future, Microsoft will want their software, and revenue stream, to be on it. Why would Apple want Office on iPad? Microsoft owned, utterly and completely owned, the last wave of personal computing from the operating system that still runs 9 out of 10 PCs to the Office software the powers a massive percentage of work and home productivity alike. Having Office on iPad could pull people away from Apple's existing iWork software and take money from their pockets. Why then would Apple want Office released on iPad when it would eclipse Apple's own iWork suite -- Pages, Keynote, and Numbers -- with a far more established, more functional competitor on Apple's own platform? Because Apple is a hardware company. It's what they want. They make razors and rely on compelling but convenient and commoditize razorblades to increase the attractiveness of their products. They're the guys who give iOS away for free and run iTunes and the App Store at just above cost. Take Office on Mac as a precedent. Office on Mac mattered so much that, upon his return to Apple, Steve Jobs let Bill Gates dwarf him on the keynote stage to announce the deal that would keep Office on the Mac for years to come. It didn't matter that then, like now, Office on Mac wasn't great software (consider iTunes on Windows revenge) it only mattered that it was Office and it was on the Mac. It was good enough for most of the people most of the time. It checked a box and removed a barrier to purchase. The same holds true for Office on iPad. There is a segment of the market, consumer and enterprise, who simply won't buy or use something that doesn't run Office. Put Office on it and that box gets checked, that barrier to purchase gets busted down. Does any of that matter? If Microsoft can work a Windows 7-class miracle and make a fantastic multitouch version of Office, then absolutely it matters. It'd be a fantastic win for everyone. Microsoft's reputation for tablet software would grow, which would encourage consumers to give Microsoft's other offerings, including their platform, a chance. Apple would get more killer software to help them sell more iPads. And customers would get a really great Office suite to work with. If Office is as middling as it is on Mac, Microsoft's reputation for poor off-platform software will persist, but Apple will still get a massive name on the App Store, and customers will get an app that may frustrate them but will still be familiar and somewhat comforting. That's assuming Microsoft is even making Office for iPad. The symmetry of an Office for iPad announcement at the iPad 3 event makes for compelling conjecture. The last time Microsoft appeared on an Apple stage it was to rescue Apple from near bankruptcy and pledge Office to Apple's user base to mitigate Microsoft's anti-trust concerns. If Microsoft appears again, it would be to acknowledge Apple's unprecedented success in consumer electronics and offer Office to Apple's massive user base. If it doesn't happen during the iPad 3 event, it could still happen by way of press release and sudden appearance on the App Store. I don't have any specific information one way or another, my guess is it will happen. Microsoft is a software licensing company. Apple is a hardware company. It's what they do. It's what they want. Feels like it's just a matter of time.